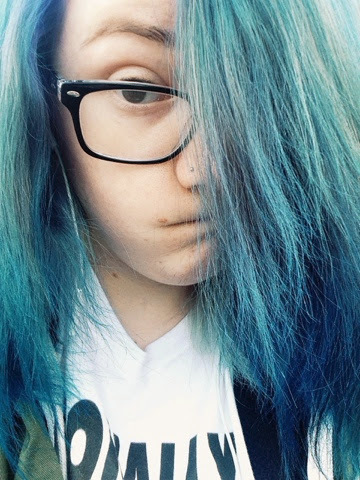 Last week I dyed my hair blue, and I personally think it's pretty rad! You might think otherwise, but that's you're opinion. The dye originally made my hair purple, but after I washed it, it was a lovely vibrant blue! It's now fading to a turquoise/purple colour, so it's almost as if I've had three colours in one! This is awesome, is the bottom bit darker or is it just this picture? Coloured hair always makes me think of anime characters, sadly no coloured hair for me, work wold freak out! Yeah, it is darker! It's a whole mass of different shades to be honest, I love it! That's one of the best things about being at university, you can pretty much do whatever to your hair, and no one cares!